Beautiful River Resort on the North Fork River just upstream from it's confluence with the White. Upscale Recent Construction, Spacious Decks, Gazebo/Hot Tub. and lush Landscaping, Quality Rooms and Cottages, Chalet, and Pavilion. This Resort is First Class. 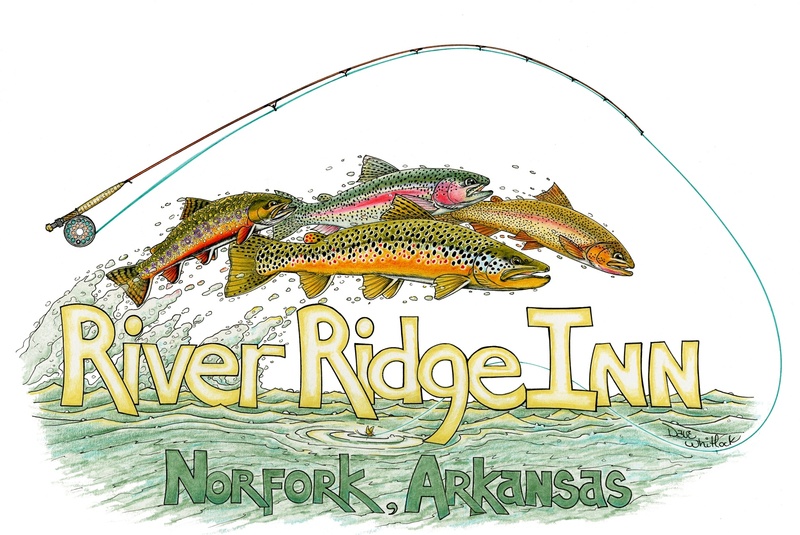 Guests can Fish Two Trout Rivers from the Private Dock or be on Norfork Lake in minutes. Lodge Building has 6 Bedrooms and 6 full baths w/Private Entrances, Office, Kitchen, Great Room, Family Room, Sun Room, and Large Dining Area. 2 Deluxe Cottages w/Kitchens and 2 Chalets on the North Fork River. Resort Can Sleep 40 persons in the 21+ beds . Boat Storage, 2 double car Garages, Extra Storage and Green House. This is a Turn-Key offering. furnishings, inventory, maintenance equipment and the existing and future bookings included. Adjacent acreage to expand is available. Price: $1,750,000. Established Property Management Company and Home Owners Association are available to go with the business.